Home › News › *SPECIAL OFFER* 20% OFF! 20% off any new business orders placed before the 13th November! 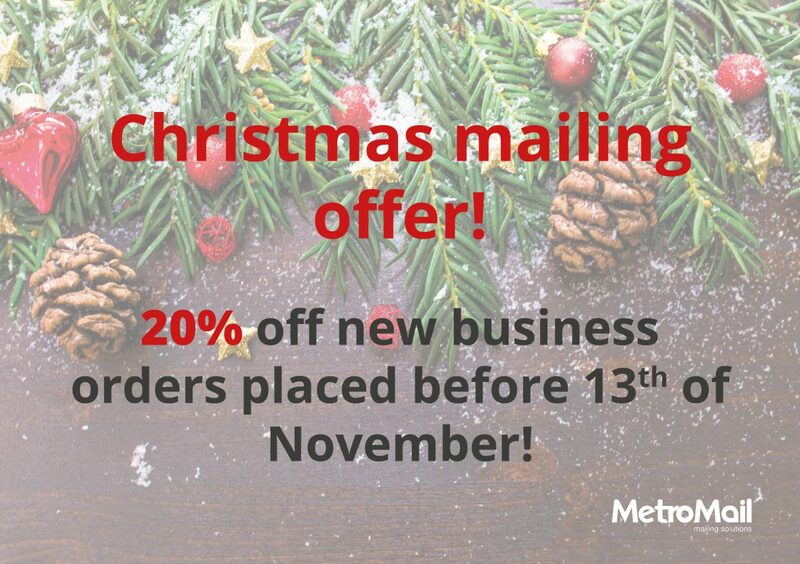 In the lead up to MetroMail's 2017 Christmas campaign they are offering an exclusive discount to new customers. Follow MetroMail on social media to keep up to date with their special offers and prizes over the festive period (links at the top of the page).